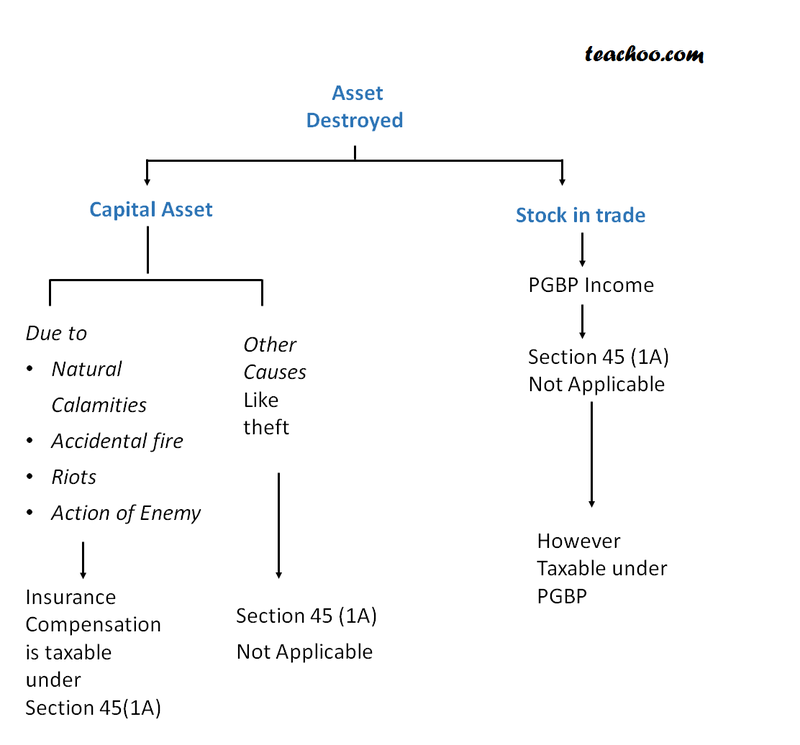 If any insurance claim received on destruction of asset then profit or gain arriving from it will be Charged under income from capital gains. (a) National calamities like flood, earthquake etc. however it is taxable when insurance claim received. 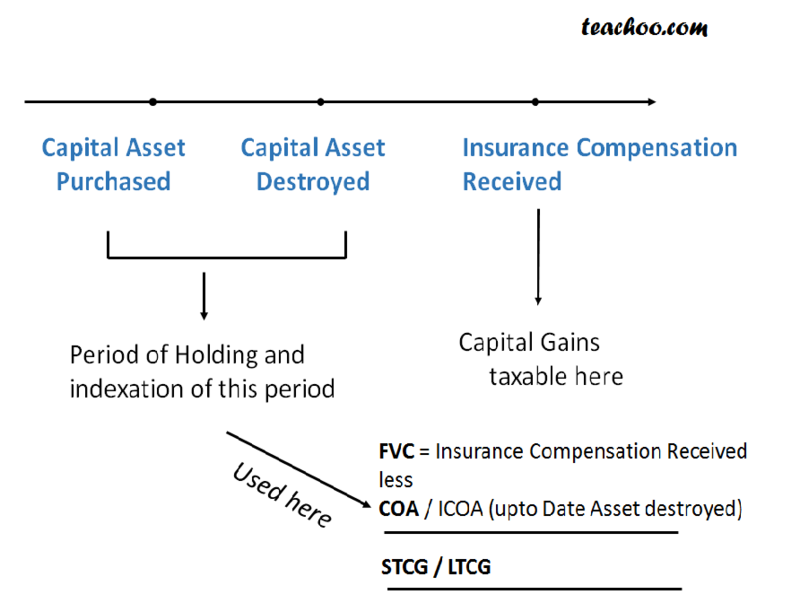 If Stock Insurance and on loss of stock insurance compensation received then this section not applicable as capital asset does not include stock in trade. Solve Q1 assuming it is Stock in Trade which was damaged and not building?